"I've had chronic knee pain for years, largely due to my running and hiking. I had tried many things, including intense yoga to keep them in shape and got to a point where i could run no more. I spoke with Michelle Wilson in passing and mentioned my knees. I had not thought of acupunture and decided to give it a try. I was amazed the very first time. I felt like I had brand new knees. I tell everyone of my experience and highly recommend acupunture. Michelle is wonderful as a practitoner. She really listens and you would hear her say that she's most concerned that her patients conditions improve. I appreciate her honesty as well. As soon as I got to a point where I could receive less frequent treatments, she convinced me that I didnt need to see her as often. 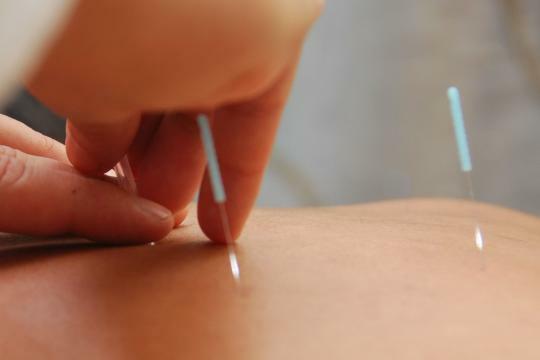 She became an acupuncturist to help people, and you feel that way under her care. I have also received quite a few of the facial treatments, and after each one I could tell improvements and received many compliments." "Michelle Wilson is my favorite acupuncturist! I love the entire experience of going to see her. The clinic is cute, and her room is very comfortable. Michelle's personal energy is calming and healing. It feels good just to be around her. During my acupuncture treatments she also uses tuning forks, making her sessions feel more valuable than others I have received. I always feel better, healthier, and more balanced after my treatments with lasting results. I usually see Michelle for acupuncture but I have also tried her "Acugems Facial Rejuve." It was awesome! My skin felt so firm and youthful afterwards that I kept touching my face. I don't have many wrinkles yet, so the biggest difference I experienced was my skin's noticeably increased elasticity. It looks pricey at first, but not when you compare it to other cosmetic procedures. I will never consider any other conventional anti-aging treatments, such as botox , now that I know the results that can be achieved with this natural treatment. "Michelle Wilson Acupuncture-AHHHHHHMAZING!! She has addressed and "fixed" so many things. I would recommend her 10 times over!" "I wanted to take a moment to tell you about how Michelle Wilson has helped me get rid of my back pain. Let me say that again, Michelle Wilson has gotten rid of my back pain. My name is Laura and I have been a bartender for 13 years, and am now an RN. I have given birth to two children and I am 40 years old. That is pretty much the recipe for back pain. I have even reached the point in my life where my back “goes out” on me and I find it hard to even move. This happened to me just recently and I called Michelle for help. She worked me in to her schedule immediately and worked her magic. The first treatment delivered instant relief. I could not believe I went from such pain, to completely tolerable discomfort in a matter of minutes. She then had me come back a day or two later and completely took the pain away. I now have been able to exercise more and strengthen my back because I am not in constant pain. I feel stronger and healthier; I have even started running again. I am here to say, if you live with back pain and you haven’t seen Michelle Wilson, YOU ARE WRONG!"